A new weapon in the war against the rampaging, mindless undead. Well I’m proud to announce that my new weapon of choice in the war against the Zombies is . . . The Blue Lake Pole Bean!!! Yup, this little beauty will help win the war, and preserve the planet for those of us who survive the rampaging zombie hoards. Now maybe I’m centered on food growing because I have no skills with a gun, or (and this is my preferred theory) I could be part hobbit. When a crisis looms, I think of my belly first. 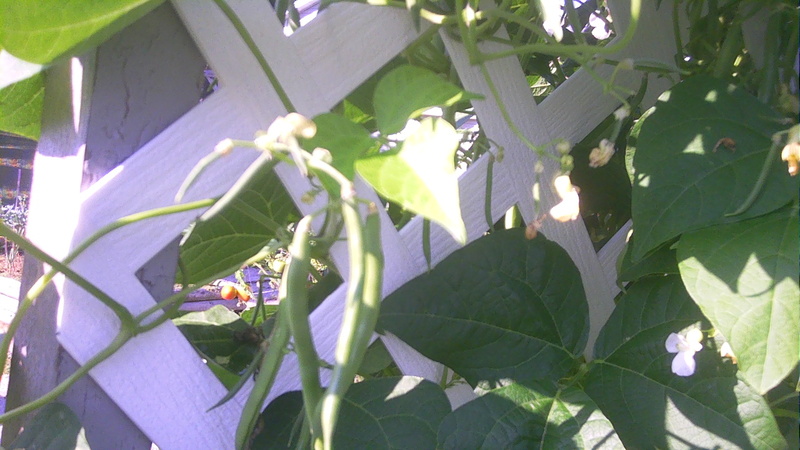 In any case, I was out picking this little beauty in my garden just this morning when it occurred to me, the Blue Lake Pole Bean is the perfect food to be growing to feed the masses of starving refugees, and preserve my own skin. It’s versatile: It can be eaten raw, boiled to tender perfection, or even deep fried as a replacement for unhealthy French fries. 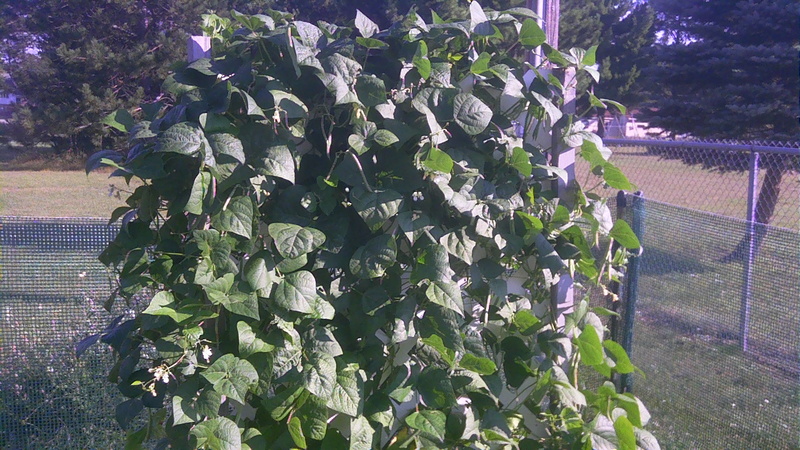 It’s easy to grow: Once you get the vines started, food just appears like magic. It’s unlimited: Yes, truly, and this is the important point. You probably only need one plant. 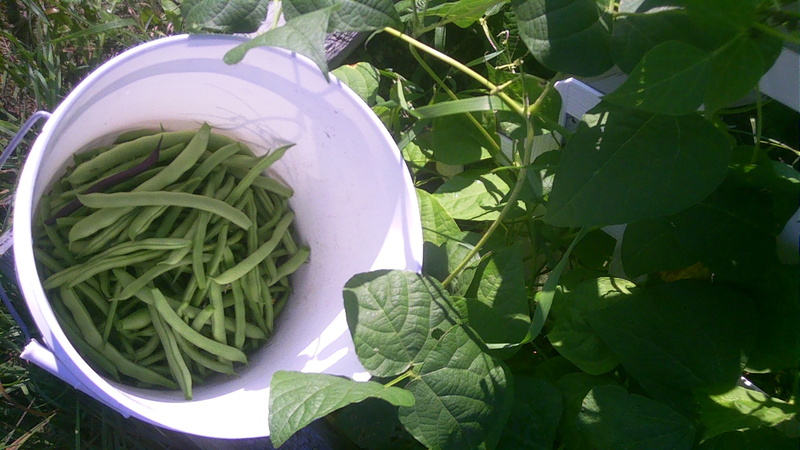 Go ahead, pick every bean on the vine and eat your fill. Still hungry? Go look again, there’s more. Where did they come from? I’m not sure, probably magic. All I know is that even when I’m sure I found every mature bean on the stalk, I just have to look again to find more. These things pop out faster than bunnies, and hide better than chameleons. There are always more beans to pick. I’m sure the magical nature of the Blue Lake Pole Bean inspired the wondrous tale of Jack and the Beanstalk. Magic beans indeed, these things are a wonder. 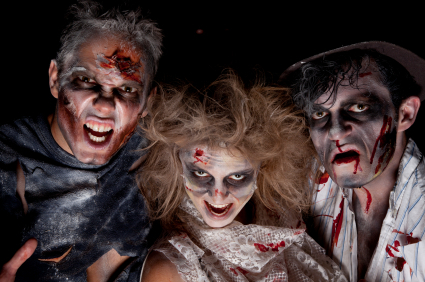 So, to recap: In your Zombie survival kit (you do have one, don’t you?) 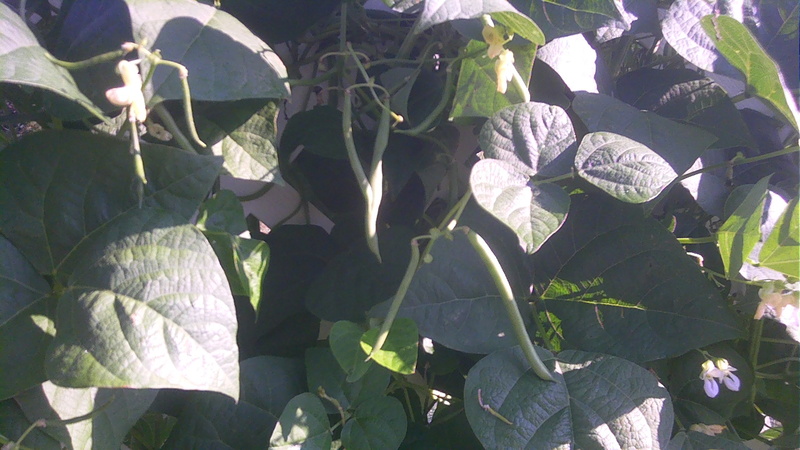 make sure you add a package of Blue Lake Pole Bean seeds. Plant them as soon as you hear that first ‘strange’ news report of sections of the country suddenly going dark. Water and Nurture. These will be your most effective weapon when the mindless hoards come knocking at your door seeking brains. Stockpile all the guns and ammunition you want, but when your house is surrounded by a sea of mindless undead, and your kitchen cupboards are bare, you’ll realize you can’t eat bullets. Meanwhile I’ll be across the street with my rooftop garden, sitting comfortably, doors locked, windows boarded up, and (as always) full of beans. 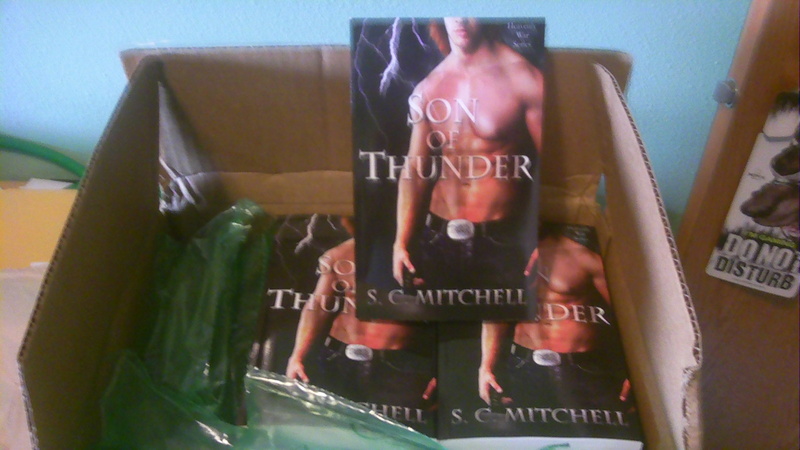 I have received my first shipment of the paperback edition of Son of Thunder. Even though the ‘book’ has been out since February, it didn’t seem completely real until the moment I held it in my hand. That incredible feeling of holding your baby in your hand for the first time…that never gets old. Every book I’ve put out, I’ve waited with high anticipation for the paperback edition to arrive. This one took over 6 months, but it was well worth the wait. Now I will have it available for book signings, and can drop one off at my local library. Okay, enough gloating, I have to get back to work on the next one. Son of Thunder – Now in Paperback! I have some copies on order, and can’t wait to hold my baby in my hands. Also, I hope to have some more big news this coming Thursday.